Are you searching for a brand new pair of boxing gloves? Then take a look at this RDX Boxing Gloves. These gloves are one of the top seller products in Amazon because of their durability, comfort, and great quality. Check out this RDX Boxing Gloves review for more information. RDX Boxing Gloves are made with 100% authentic cow leather with firmed stitching for better quality. These real leathers provide comfort and durability when used repeatedly. They will not rip or tear easily compared to products made of vinyl or other materials. The reinforced stitching features secure the seams of the gloves for better durability. The interior and exterior of these boxing gloves have the same importance. These RDX boxing gloves have multi-layer gel combined padding over the side of the knuckle and an added thumb and block padding over the wrist. This multi-layered padding helps in increasing the impact of the resistance. Most boxing gloves easily get sweaty, but this pair of gloves is different. These RDX Boxing Gloves are designed to have good ventilation. With S.P.P Ventilation System, sweaty hands are less of an issue with this pair of gloves. The S.P.P Ventilation System provides strategic ventilation. This type of ventilation helps you keep your hands cool and dry. ​It also keeps your gloves from getting musty, enhancing your comfortability during your boxing training. These RDX boxing gloves have an EVA-LUTION FOAM Technology. This feature helps shield your wrist from getting serious injuries during training. This will not only protect your wrist but will also provide an all-around protection to your hands. One of the features of this pair of gloves is its wraparound strap. This wraparound strap allows you to adjust your gloves so that they fit comfortably to the size of your wrist. Still, it’s important to choose a pair of gloves with the right size of your hands. The strap is only designed to secure the closure of your gloves and make your boxing experience more comfortable. With this feature, you won’t have to worry about loosening gloves while training. Whenever you wrap the gloves, you will notice its snug fit. You will be comfortable with its balanced weight and padding. These gloves are not too light or too heavy. These boxing gloves come in three different colors. You can choose between blue, red, and yellow. Sometimes, choosing the best color of your boxing gloves can help add to the athletic aura within you during training. These boxing gloves come with different sizes. Some of these sizes are offered at lower price or on sale. There are sizes of 14 oz, 16 oz, 10 oz, and 12 oz. You can choose sizes that you like and make sure that the size you choose is the right one. For every quality of the boxing gloves that you purchased, the price should be reasonable. The price of these boxing gloves is one of its advantages. You can never find other boxing gloves with this affordable price and good quality. 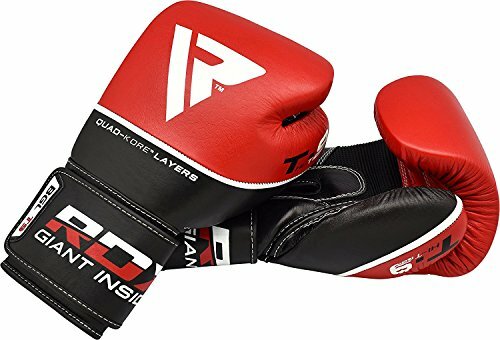 It was mentioned above that one of the advantages of these boxing gloves is that they have a snug fit, but there are some buyers who found out that the gloves were too snug to fit. However, this issue is the only one being regularly reported by customers. There were a few customers who have mentioned that the seams on the gloves started to rip after being used repeatedly. These issues are rare because of the defect on manufacturing the gloves. To avoid these issues from happening, check first the gloves after you receive them. These gloves are built to be tough. However, there are some customers who do not like its toughness. According to some customers, they are too hard to break-in. 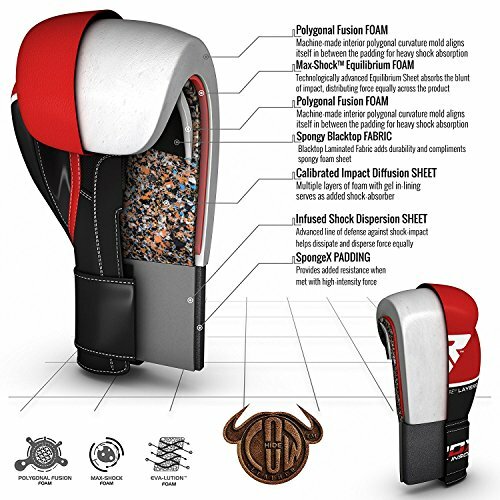 Boxing gloves are mostly needed by boxers before stepping into the boxing ring, but these RDX boxing gloves are not only for boxers but also for those who are training in Muay Thai. These gloves are also good for people who are into kickboxing. These gloves are for athletes who are experienced in different sports that use boxing gloves. Also, this is not good for kids because these gloves are heavy. Before buying these gloves, make sure you belong to the group of people who are qualified to use this kind of sports gear. Before you buy boxing gloves, you need to make sure that you know the reason or purpose why you need to buy one. There are various sports that use boxing gloves. Some of those sports are boxing, kickboxing, Muay Thai, and others. There is also a need for you to choose the right size of the boxing gloves. This is important to make sure that you don’t get an uncomfortable fit. Also, check the boxing gloves after you receive them. If there are manufacturing defects, you can always contact the manufacturers. The key to choosing the best gloves is to weigh their pros and cons. It is also important to consider your needs as the user. This way, you’ll be able to identify which boxing gloves works right with your boxing style. It also helps to read authentic reviews from customers online. By doing this, you’ll know what the products are like on the actual look from other customers’ perspective. In any case, RDX boxing gloves is definitely worth the purchase. If you want to make sure that it really is, you can always read a RDX Boxing Gloves review online.